PRODUCTS — RTC Manufacturing, Inc.
RTC Manufacturing, Inc. specializes in complete traffic systems and produces a wide variety of custom and stock equipment. Browse the product descriptions below, click on the links to download our detailed product brochures, or view the complete RTC catalog. The Guardian Series product line monitors and alerts users of current and potential problems with batteries, solar panels, time switches, and power supplies located in flasher systems or any other electronic device. Alerts are sent via text or e-mail to an unlimited number of recipients and can be set to send around-the-clock or only during user-defined business hours. The product line is flexible to fit nearly all industry cabinet types. Used in conjunction with the AP22, cellular communication, and RTC Connect, the Guardian Series product line makes the monitoring, communicating, and scheduling of school zone flashers a worry-free process. RTC School Zone Flasher Systems can help ensure a safe and efficient way for students and drivers to get to where they need to be. Choose the FlashCube® - our self-contained, energy-efficient, all-in-one flasher solution - or the traditional 12" flashing beacon application. Solar or AC applications available. RTC manufactures a full line of solar and AC-powered pedestrian crossing systems. They can be activated by a variety of push button options or the time of day using RTC's AP22 time switch. Choose from RTC's MUTCD compliant EdgeLight Signs, Rectangular Rapid Flashing Beacon (RRFB) or a traditional 12" flashing beacon application. When there's an emergency across town and every second counts, an RTC Fire Station Warning System can help ensure a fast and safe exit from the station and entrance into your community. Choose the all new FlashCube - our self-contained, all-in-one flasher - or the traditional 12" flashing beacon application. RTC manufactures reliable solar and AC-powered 24-Hour Flashing Systems that can be used to warn drivers of whatever lies ahead. Choose the FlashCube® top-of-pole mounted cabinet and flasher or our traditional side-of-pole mounted cabinet. Both units feature our reliable 12" 24-hour flashing beacons that are proven to stand up to all weather conditions. The AP22 is the industry-standard, time-tested school zone appliance for the scheduling and storage of school zone programming. It is a low-maintenance, user-friendly time switch that you can trust to get the job done. 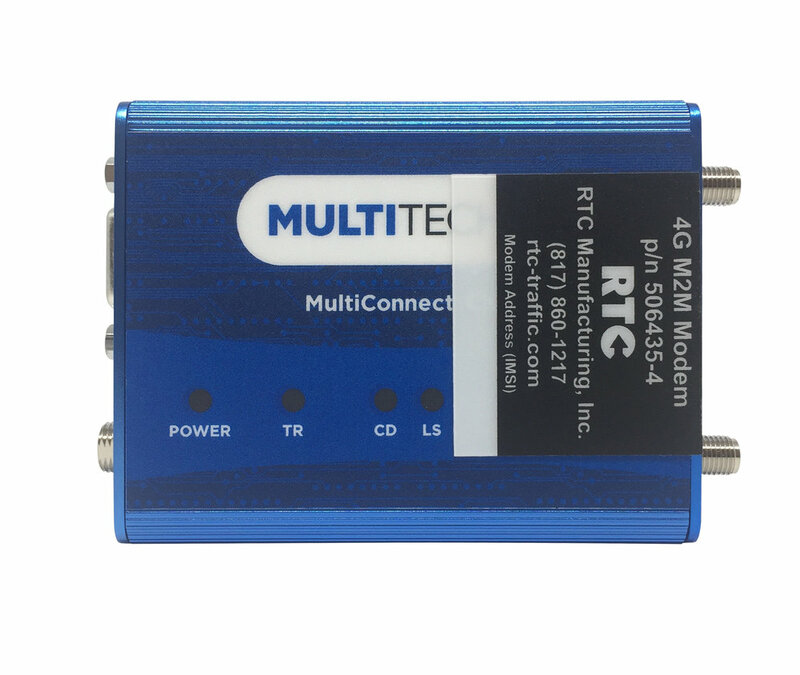 The RTC M2M is a compact communications modem that allows the user to connect an AP22 to a central computer using RTC Connect software, eliminating the cost and maintenance of additional infrastructure. Take your signs to the next level by adding high-visibility LED lighting, which helps to alert motorists of upcoming traffic changes and information. EdgeLight can be added to standard MUTCD signs or ANY custom sign and used with new or existing AC or DC installations. RTC Manufacturing offers quality NEMA TS1 and TS2 traffic cabinets that can be designed to accommodate any equipment configuration that may be required by an agency. RTC also constructs flasher cabinets to house battery or AC-powered control panels in a wide range of configurations and options to meet your specifications. RTC designs and manufactures custom products including brackets, cabinets, and retrofit panels to meet the needs of our customers. If you have an idea, solution, or question about a custom-build product that you would like manufactured, please contact us and let us know. Serving the traffic industry since 1987, RTC Manufacturing has numerous legacy products including time switches, communication devices, and other cabinet equipment that are no longer actively sold. If you need a quote, information, or assistance on a legacy product, please contact us.